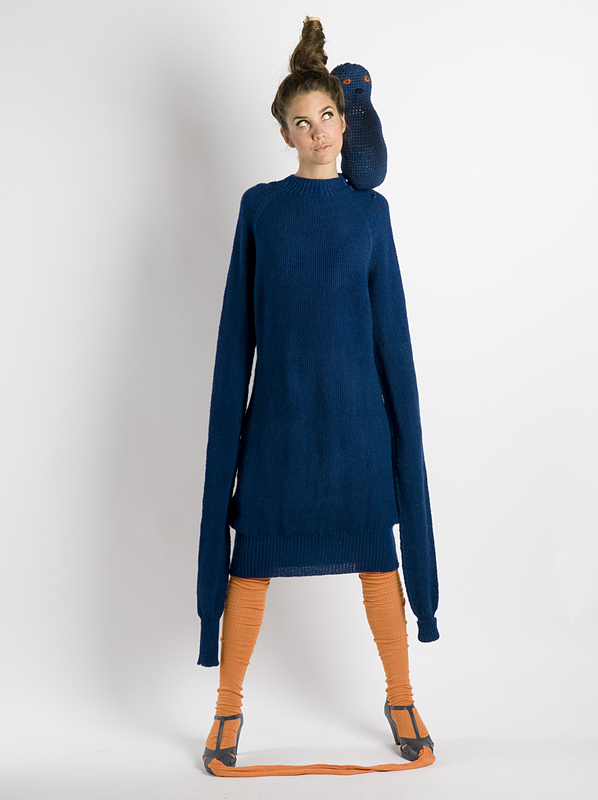 Since the last topic was about humour I like to share my MA degree project from Textilhögskolan in Borås, Sweden. The purpose of the project was to discuss the paradox within designing sustainable fashion. Fashion is suppose to be something new. 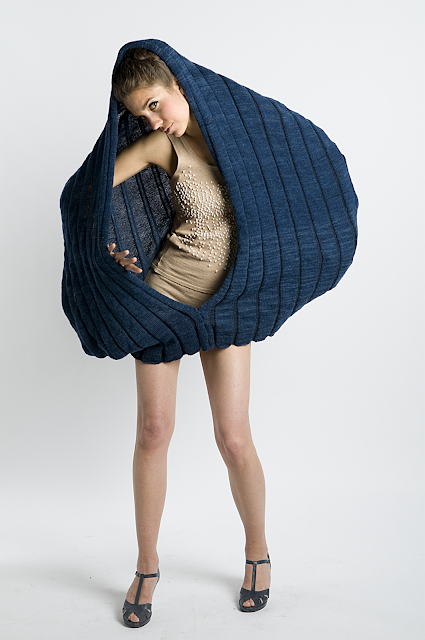 The conclusion was to create shapes in sustainable qualities and use humour as a method to design forms that make a long lasting connection between wearer and garment. These pictures are taken out from the collection "Don't panic it's organic" spring 2008. Kul å få se ditt projekt!